MIDTOWN, Manhattan (WABC) -- Three construction workers were treated after they were overcome by liquid they were using for construction of a Midtown hotel. It happened at about 2:30 p.m. on 8th Avenue between West 46th and West 47th streets. The construction site is the future home of the 600-room, 31 story RIU-Hotel Times Square. Officials said the workers were in an unventilated room at the construction site when they started breathing in the liquid. It was described as giving off a "toxic" smell. Three workers were removed from the unventilated room at the site and are being treated. One worker was given oxygen is being transported to Bellevue Hospital in serious but stable condition. Two other workers are being checked out at the construction site. Construction workers are now ventilating the fumes from the room. The construction site where this incident occurred has had a history of problems. Last May, a construction worker died in a fatal fall at the same site. In July 2013, the Buildings Department shut down the site after a worker fell three stories. 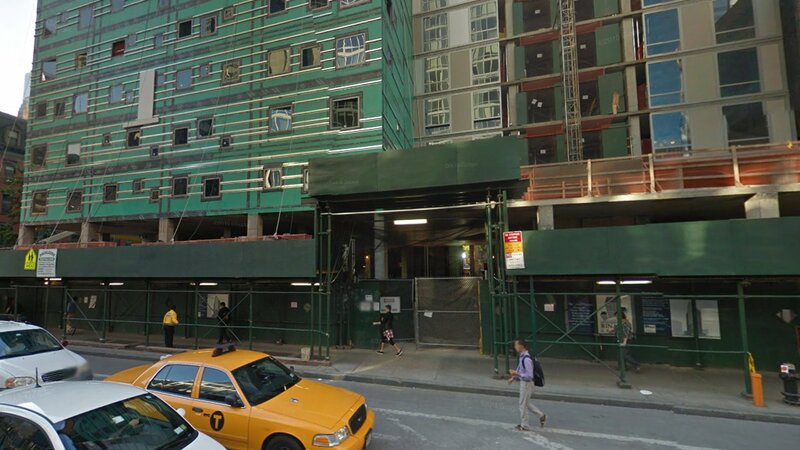 Inspectors found floor openings without rails, as required, and cited the owner, 301 West 46 Street Owners LLC, for unsafe work conditions. In May 2014 and then again in September 2014, inspectors found more unsafe conditions - scaffolding without the proper support, and a worker without the proper safety training certification from OSHA.